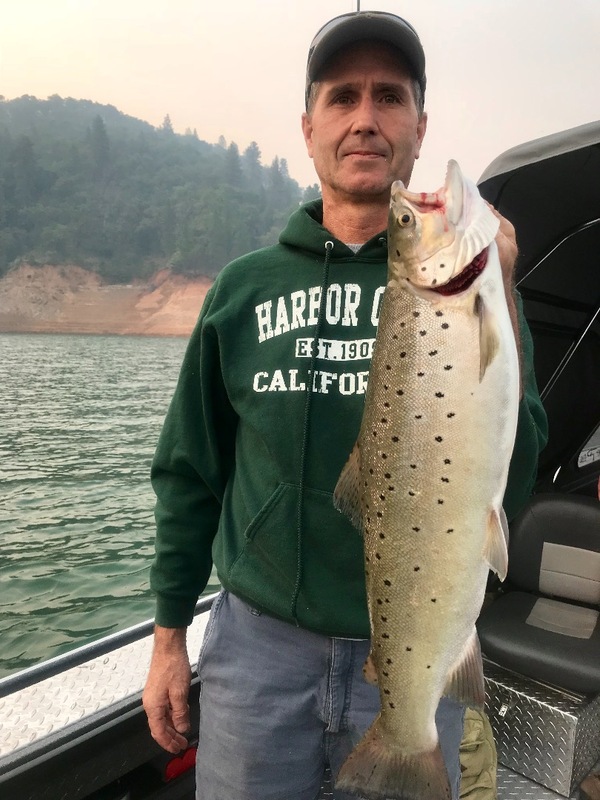 6 pound trout on Shasta Lake! 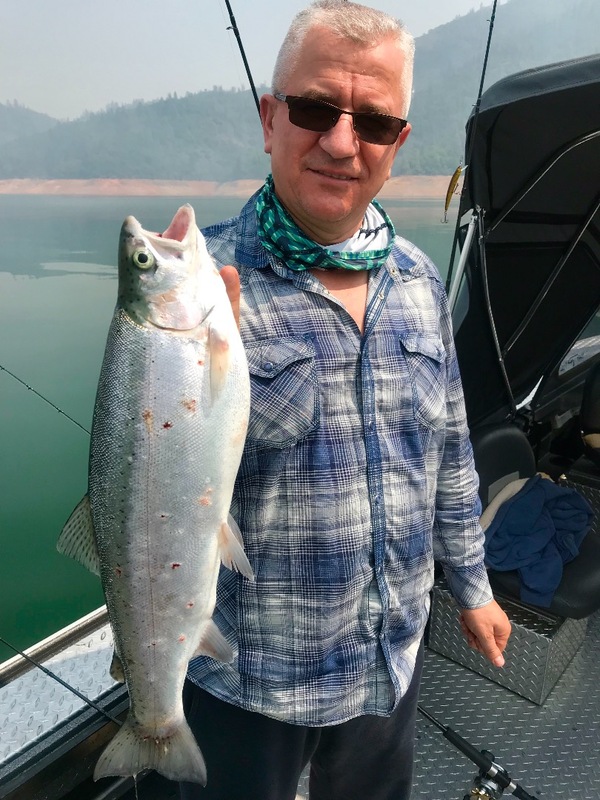 Today we fished Shasta Lake again, I know big surprise, right! Anyways we got into a good grade of fish again today. 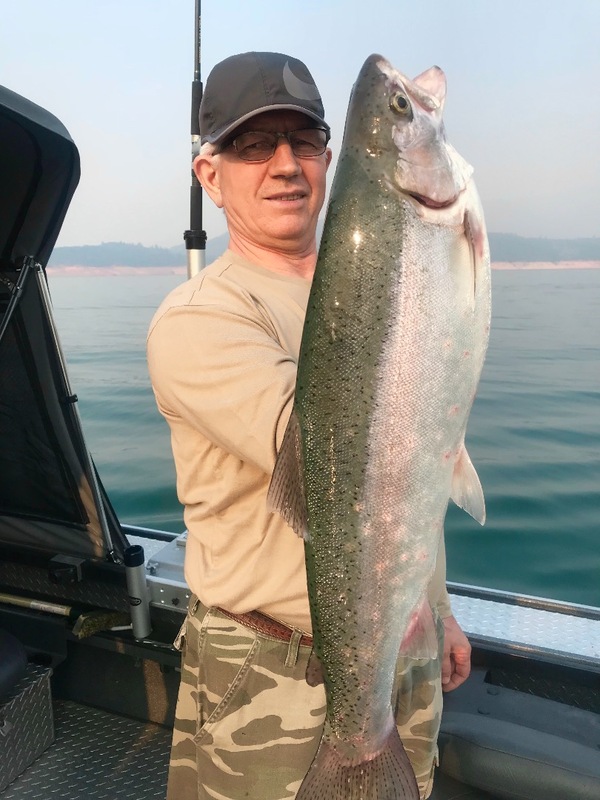 Peter Gergi and his brother Steve made the trip up from Sacramento again to get into some big fish. 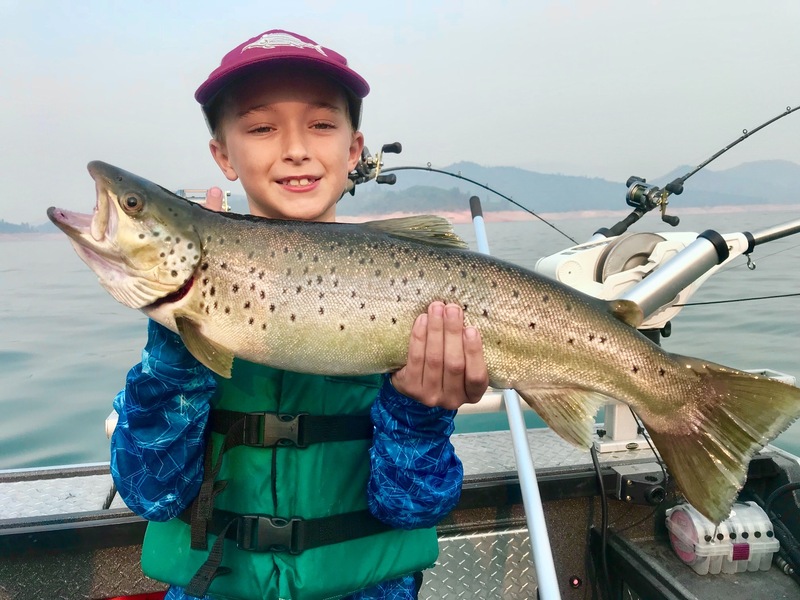 Peter has fished with me before on Shasta during the Spring brown trout season, and after getting a taste of the Shasta Lake browns earlier in the year, he was back for more. Both of these guys landed limits of rainbows pretty early in the day, including Peters 6 pound rainbow! 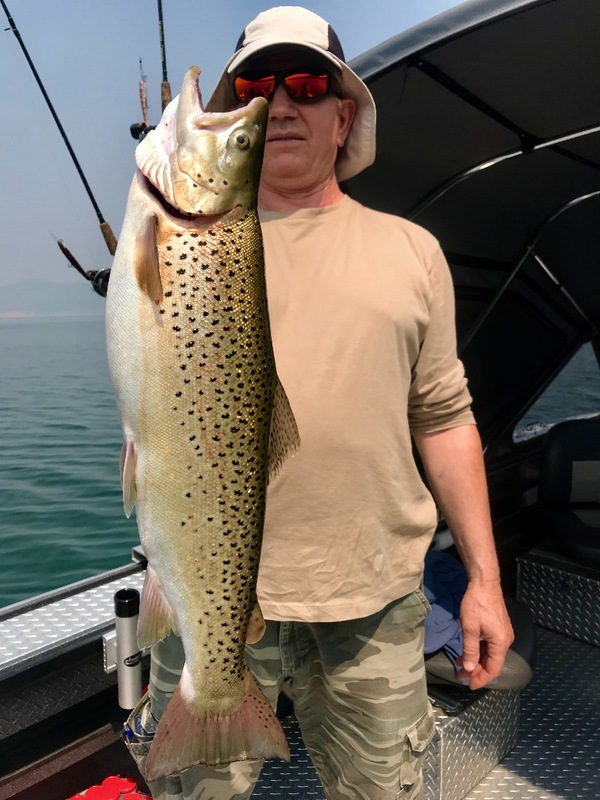 We covered some different water intending to find a nice big brown. Ironically, our last takedown ended up being a beautiful 6 pound brown. Its not every day two 6 lb trout see the net, but today was one of those days for Peter. The only complication of the day was a cooler too small for all the fish these guys took home today. Good problem to have I guess.